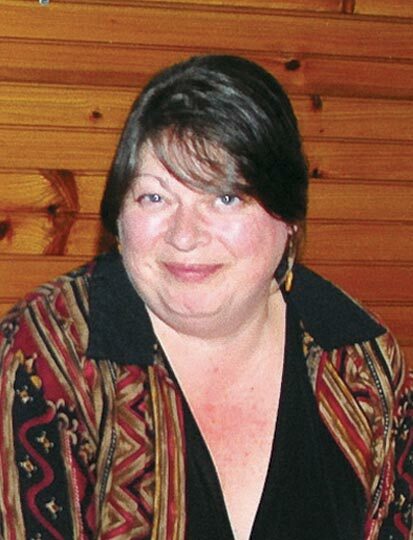 Linda Anne Wood, since 2004 the head of the classified advertising department of The Martha’s Vineyard Times, the first voice many callers heard when they reached the newspaper, and the friendly, helpful person who greeted most visitors to The Times office, died on March 28. She was 47. Apart from her work for the newspaper, in a job that at times demanded unremitting patience and a broad understanding of customers’ needs, Linda hunted and fished with her husband, Wesley V. Wood. She was an active member of the P-A Club, where she was known by many as Mrs. Claus. She organized the games played at the club’s annual feast. She was a darts player and vice president of the Martha’s Vineyard Darts League, and she was a member of the Martha’s Vineyard Harley Riders. Linda was born in 1964, in Morrisville, Pennsylvania, to Sanford and Rosemary Morgan. Although her father predeceased Linda, her mother was with her during the illness of the last few weeks that led ultimately to her death. Linda graduated from Bishop Conwell High School in Morrisville, where she was a member of the school band, the chorus, and the drama club. She had the lead roles in two musicals put on by the school. She attended Bucks County Community College, and after college Linda worked for many years as a banking officer and manager. In 1997, Linda moved to the Vineyard, where she met and in April of 2003 married her husband. In addition to her mother, Linda is survived by her husband, brothers David of Morrisville and Edward and his wife, Laura, of Bristol, Pennsylvania; many uncles, aunts, and cousins; and her dog, Indy. Burial will be in Bensalem, Pennsylvania. James J Dougherty Mortuary in Levittown, Pennsylvania is making the arrangements.